Erin's Rhewsings: A #Free Book #Giveaway! 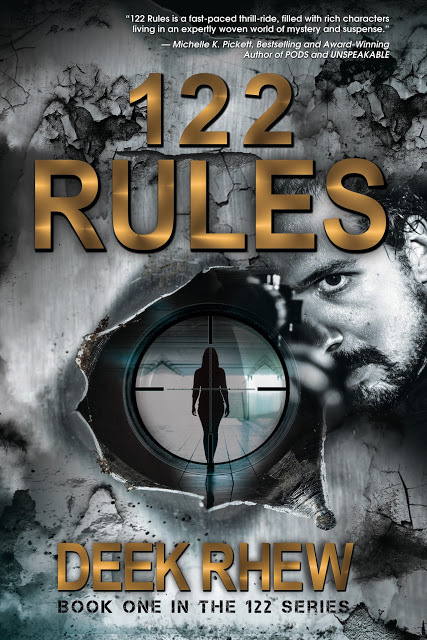 Okay, friends...Deek's book 122 Rules is FREE on Kindle for today only! So, to sweeten the deal just a bit, we'll do a giveaway. If you download a free copy of Deek's 122 Rules and send us the proof of "purchase," I'll gift you a copy of the first book in my series, The Prophecy. Two free books! WUT? Email us here to claim your prize! Stay tuned later this week, I'll be blogging about our couples' vacation at the beach! Neither one of us had ever gone on vacation with friends before, and we had a TOTAL blast! Oh, Erin! Words can NOT express how much I appreciate you!!! Thank you, love! I don't know if your offer from 5/3/16 is still open - the free copy of Prophecy with proof of purchase of Deek's book 122 Rules, but I thought I would ask. I just came across Deek's books today. It was listed in a post "e-book daily" sent out this morning. I came across your books via Deek's author info on Amazon and then followed the crumbs. . . . . If your offer is still good, I would love to read the first book in your series. I would be more than happy to give an honest review of both books. Also, thanks for giving a good word for your body artist. I was really happy to find out about a great tattoo artist who is so close(she is within 40 miles)! My son has a couple of tattoos needing touch ups and I am thinking about something small and special! Thanks for the heads up. Below is the screen print showing the purchase of Deek's book. We (my son and I) are looking forward to reading and reviewing it in the next few weeks (even if you say "no" on the offer). Send me an email at erin (at) erinrhewbooks (dot) com, and we'll talk! Thanks!